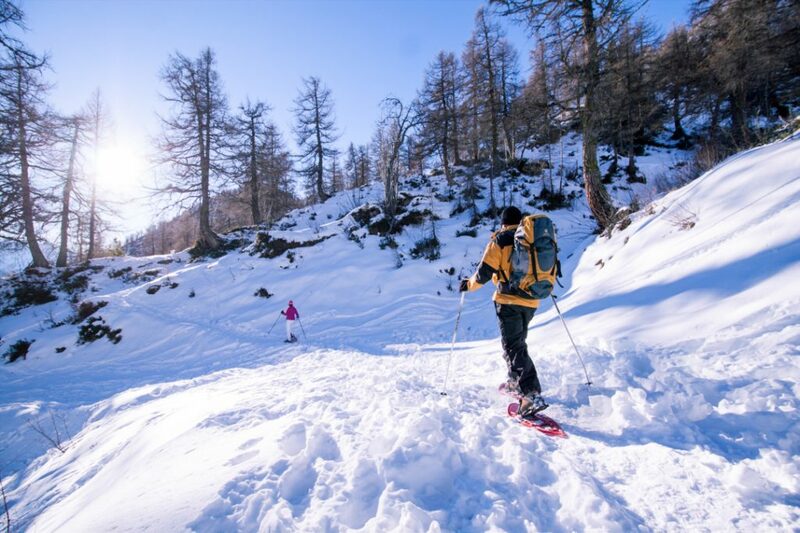 This trail crosses idyllic places and allows the access to the snow-covered mountain even to the non-skiers. Remark: The trail tends to freeze. It is situated on the skiing area. It goes along a ski run on 800 m.
Even if it is forbidden, certain skiers follow this trail. Be careful ! In Jorasse, the mountain restaurant is open every day. The route crosses several avalanche corridors which must be beforehand secured and it takes time. The conditions for the walkers can degrade in a short time and the preparation of the trail cannot be any time guaranteed. Please inform you at the desk of the chairlift before risking you there.